New Delhi July 12 (IANS) The Delhi Metro Rail Corporation (DMRC) told the High Court on Thursday that the May 31 incident involving disruption of service by some metro employees was an act of serious misconduct and in violation of service rules. 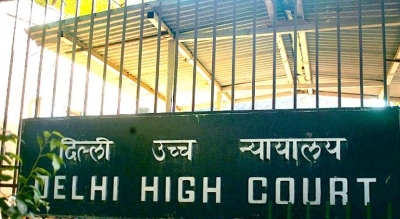 The Delhi High Court is hearing a plea for an inquiry into the incident in which station managers were allegedly beaten up over a parking row. The plea filed by Puran Chand Arya a former central government employee sought action by DMRC CISF Delhi Police and Home Ministry to ensure that such incidents do not recur. The incident led to temporary suspension of Metro service between Dwarka Sector -21 and Janakpuri West stations. DMRC said it has CCTV clips showing the alleged protesers/employees. They violated various provisions of Metro Railway General Rules (MRGR)and Indian Penal Code it said. The DMRC has also mentioned the names of several employees who were part of the incident.